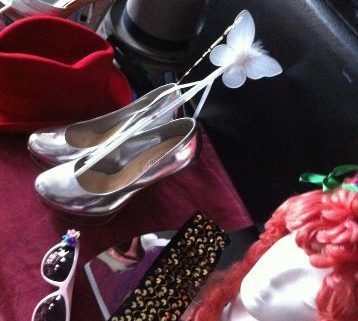 ‘Miss Inform’ was devised for our Show and Tell project, a ‘Creative People and Places’ residency at Bagshaw Museum in Batley, West Yorkshire – part of Creative Scene. 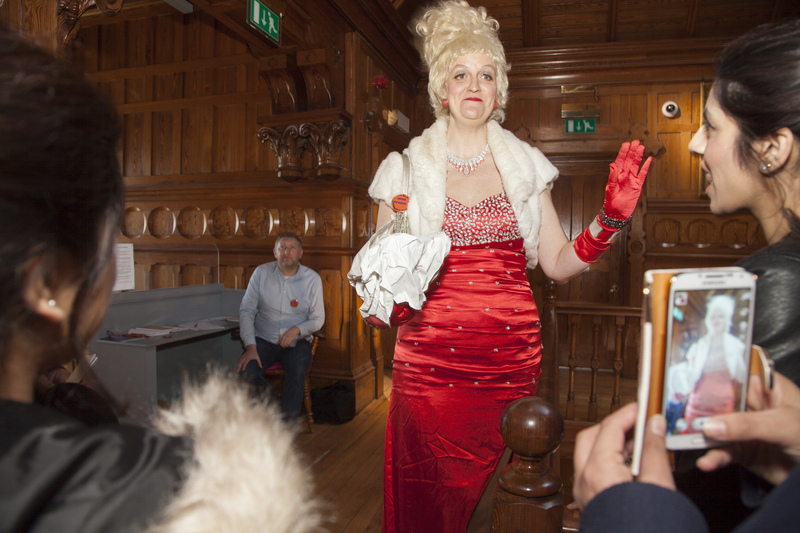 ‘Miss Inform’ was in residence at the museum from February 2015, telling stories of the hidden collections and asking visitors to show their treasures, as part of a special event and ‘Variety Night At The Museum’ on 18th April 2015. At the end of the residency, Miss Inform left behind a ‘Show and Tell’ trail, a leaflet with her own stories that museum visitors could use to see Bagshaw Museum from a different perspective, and find out the truth behind her outrageous fiction. ‘Miss Inform’ in action – misinforming visitors at Bagshaw Museum, April 2015.